Meyer, Carolyn. Girl with a Camera. 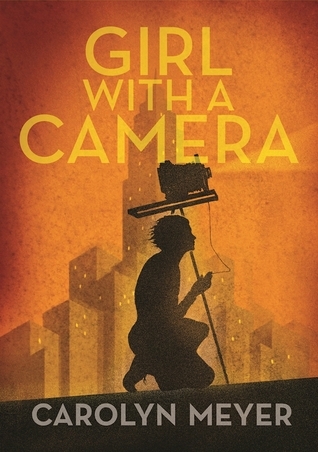 In this fictionalized novel, we meet the famous photographer Margaret Bourke-White as a young girl who is more interested in herpetology than anything else. Her mother encourages a very Spartan and stoic existence, dressing Margaret and her siblings Ruth and Roger in plain clothes, and allowing very little fun into their lives. It's not surprising that attending college at Columbia and getting away from home made Margaret very happy, and she excelled in her scientific studies even if she didn't make too many friends. When her father passed away suddenly, her mother was unable to afford to send her back, but good friends decided to fund her tuition, but felt she would have better teachers at the University of Michigan. There, Margaret makes more friends and discovers her true passion: photography. Even after a disastrous first marriage, she managed to make connections and embrace opportunities because of her striking and artistic pictures. She does quite well for herself, and is able to become a well respected photographer at a time when women were still struggling with the idea of careers. The book ends about half way through her celebrated career, during a perilous mission during World War II. Strengths: The details of every day life during this time are absolutely exquisite. I would expect nothing less from Meyer, whose historical novels set the standards for research and authenticity, but the early part of the 1900s is underrepresented in fiction and SO interesting. My grandmother was eleven years older than Bourke-White, and the differences in their lives is just astonishing to me. While there weren't a lot of opportunities for women, there were a few, and reading about someone like Bourke-White will give young readers a renewed appreciation for the struggle women have had to excel in a variety of fields. I enjoyed this tremendously. Weaknesses: The font is very tiny in the ARC I received, which (sadly) makes a huge difference to my readers. I also wish there were more pictures, although I completely understand why their weren't. What I really think: This is a must purchase title for high school and public library collections, and a good historical fiction addition to middle school libraries where this genre or Meyer's works are popular. 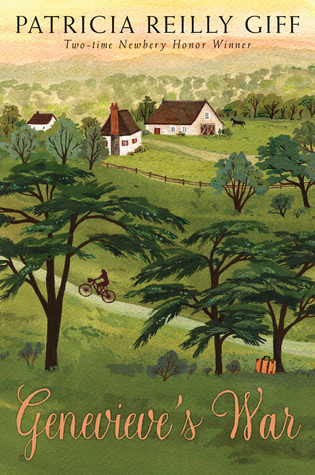 Genevieve is staying with her grandmother in Alsace in the days right before WWII, and when she is to be sent back home, she decides that her cold and forbidding grandmother really needs her help. Once she returns home (without her luggage! ), things become very dire. Students and teachers disappear from school, and the students are forced to speak German. The Germans invade, and one is even billeted in their home, which is dangerous because they have been hoarding food and are trying to hide a picture that Genevieve's deceased father painted. Food is scarce, her grandmother's health is precarious, and her best friend, Remy, is being sought by the Nazis. She and her grandmother are trying to hide him, and work with the local Resistance workers. Eventually, plans are made for Genevieve to escape to Switzerland. Will she be able to leave her grandmother, even if it means getting home to New York? Strengths: This is a slightly different topic for a WWII book-- what life was like in areas that weren't being bombed but still suffered horribly because of the Nazis. The story of ordinary people surviving against the odds is always interesting to me, and I think that students will like this because they will be able to put themselves in Genevieve's place. Weaknesses: This is slightly slower paced than the books that my students typically like about WWII, but that does make it a good choice for more sensitive readers who are assigned this topic. What I really think: Definitely purchasing. I found myself identifying with Genevieve and really liked her. Bornstein, Michael and Holinstat, Debbie Bornstein. Michael Bornstein was born in 1940, just when things were starting to get bad for Jewish residents in Poland. His family saw horrible things happen in their town, and various family members reacted in different ways. An aunt and uncle left their daughter at a convent, hoping that she would escape notice there. 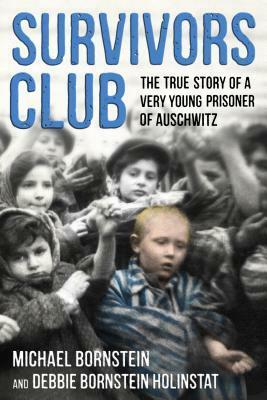 Michael, his mother, father, brother, and grandmother ended up at a work camp where they were treated fairly well, but when it closed, they were sent to Auschwitz. There, Michael managed to survive through a combination of determination (his mother made him hide in the women's barracks so she could watch out for him) and luck (he was in the infirmary when inmates were sent on a death march). His father and brother were killed, and his mother sent to work at another factory, so when the camps were liberated, he and his grandmother made their way back to their hometown, only to find their home occupied by someone else. They lived in an abandoned chicken coop even though some relatives managed to survive and make it back to their farm. Eventually, Michael's mother returned, and took him to the United States. This was a particularly helpful book for understanding the scope of what families went through. While every story is different, Bornstein's contains a variety of elements that are common. It's helpful to see what life was like for the family before and after the war. I particularly enjoyed reading about how all of this information came together through Bornstein's research, and the story is told in an interesting way. I always think I have enough books about World War II, but when a particularly good one comes along, it's great to see. The best part of this was perhaps the sense of optimism that pervades the book. Yes, horrible things happened, but sometimes the key to surviving is to hope for the best. This trailer is a good introduction to the book. Thanks for these historical recommendations. I read so many contemporary books I get behind on what is out there in other genres. I'll be looking for these. I have to agree with you about Genevieve's War - it can be a little slow, but I like that it takes place in Alsace and I love a good survival/resistance book. The ARC for Survivor's Club has been sitting on by bookshelf for a while now, but I still haven't read it. I've seen Michael Bornstein and his daughter on several local news shows telling his story and promoting the book. I'll have to get to it this week. Some really good books here. Thank-you. My kind of stories! I loved each very different book regarding the WW II. I love what a strong and independent woman Margaret Bourke-White -- ahead of her time. "Genevieve's War" offers a different perspective and a lot of intrigue. And the "Survivor's Club," really grabbed my attention. Will check them out!